Manhattan Chiropractor Dr. Steven Shoshany's office has always been synonymous with being at the forefront of integrating the newest and best technology to his practice. His latest addition is the highly anticipated SpiderTech line of pre-engineered Kinesiology Tape applications. Developed by Nucap Medical, SpiderTech is a new therapeutic product that supports muscle recovery that is precut for different body parts to save time for the doctor and energy for the patient. Dr. Shoshany is the first chiropractor to offer SpiderTech in North America. It is great to have a precut pattern that can be applied without having to physically cut it myself, which saves time and usually stays on longer then if I cut it myself. I often have patients that need to wear tape for 1 to 2 months and travel in between treatments, It is much easier to have a patient put on a precut tape application then to hand them a roll of tape and have them struggle with a complicated taping pattern. I regularly recommend and use both SpiderTech precut and manually cut tape. Being the only Chiropractic office with both allows us to give better care and options to our clients. Manhattan, NY (PRWEB) April 7, 2009 -- Dr. Steven Shoshany, a leader in physical therapy treatment for the greater New York City area, has announced he is the first chiropractor in New York to offer a new sports therapy tape called SpiderTech. 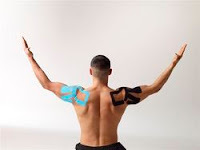 SpiderTech, developed by a medical technology company, Nucap Medical, is an athletic tape designed to support muscles, speed tissue recovery, increasing range of motion and reduce pain. What makes SpiderTech unique is it comes precut and prepackaged for specific parts of the body - like the lower back or shoulder - saving time for both the practitioner and the patient. "The addition of SpiderTech is a great benefit to my practice and my patients" Dr. Shoshany said. "It is great to have a precut pattern that can be applied without having to physically cut it myself, which saves time and usually stays on longer then if I cut it myself." Dr. Shoshany continued: "I often have patients that need to wear tape for 1 to 2 months and travel in between treatments, It is much easier to have a patient put on a precut tape application then to hand them a roll of tape and have them struggle with a complicated taping pattern." The SpiderTech kinesiology tape applications are an alterative to the popular Kinesio tape that became popular after United States Olympic Volleyball gold medal winner Kerri Walsh used them in the 2008 Summer Olympic games. Dr. Shoshany sells, and uses, both tapes. Dr. Shoshany stated: "I regularly recommend and use both SpiderTech precut and manually cut tape. Being the only Chiropractic office with both allows us to give better care and options to our clients." The addition of the SpiderTech tape at Dr. Shoshany's practice shouldn't come as a surprise. The Manhattan-based office has always prided itself on offering state of the art technology and products, and being the first New York chiropractor to offer SpiderTech is just the latest example of that. Dr. Shoshany is a chiropractic healthcare specialist with a diverse background. He holds a doctorate degree from Life Chiropractic University, and is currently the clinic director of Chiropractic New York, specializing in spinal disc decompression. 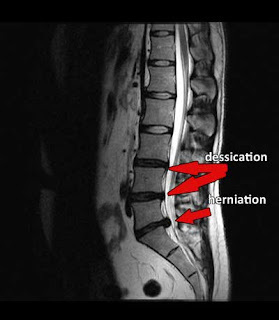 Dr. Shoshany is the only chiropractor in New York City that holds a patent for his spinal decompression protocol. He specializes in both spine and sports-related injuries, and his background is in chiropractic, pediatric chiropractic, and sports injury management. He is also a spinal decompression specialist. Dr. Shoshany's skilled chiropractic background creates unique insight into many problems, and his practice has a primary focus of delivering highly effective, state-of-the-art, gentle chiropractic care to people of all ages.